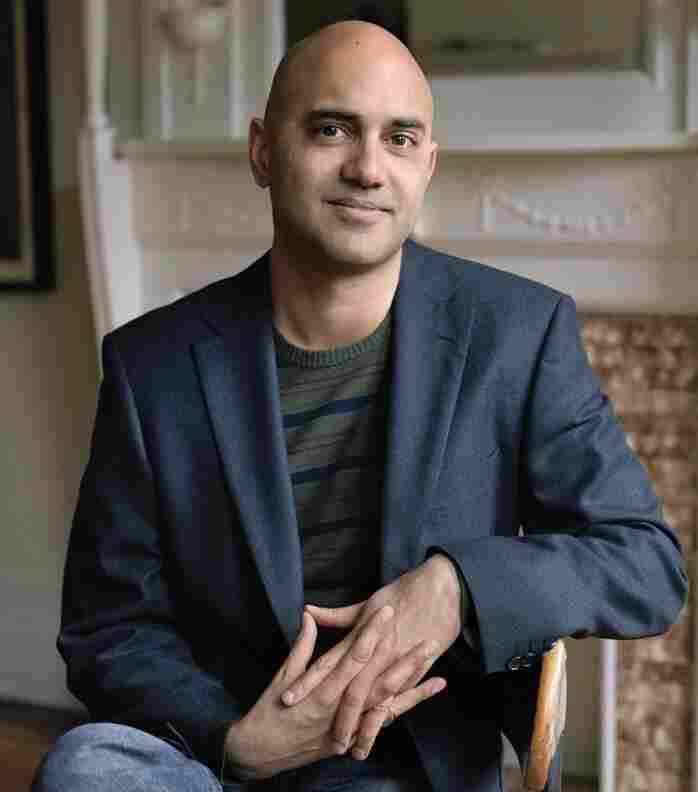 Ayad Akhtar: Writing About The Midwestern Muslim Experience Ayad Akhtar's debut novel, American Dervish, tells the story of a Pakistani-American boy in Milwaukee coming to terms with his religion and identity. Akhtar drew on his own experiences exploring the Muslim faith as a teenager growing up in Wisconsin. Playwright Ayad Akhtar's debut novel, American Dervish, tells the story of Hayat Shah, a Pakistani-American boy in Milwaukee coming to terms with his religion and identity. Ahktar says he drew from the sensibilities of Jewish writers and filmmakers like Saul Bellow, Philip Roth and Woody Allen when thinking about how to give form to his experiences growing up as a young Muslim in the Midwest. "[The Jewish community] was a community of immigrants, a minority community that was identified by their religious identity," he tells Fresh Air's Terry Gross. "And it was the same thing for us, for Muslims. ... In my experience, being Muslim was the primary identifier." 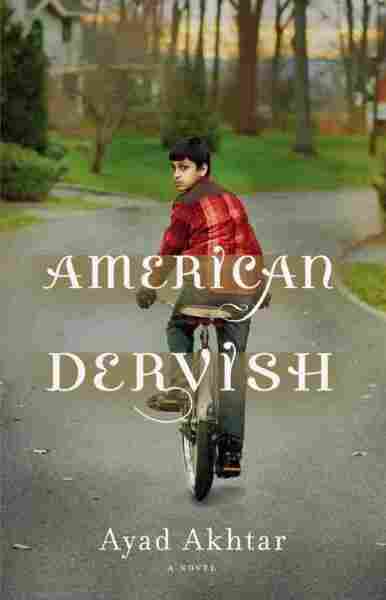 In American Dervish, Akhtar presents many different sides of what it means to be Muslim in America. There's Hayat's father, a secular humanist who doesn't want to be bound by the limits of scripture. Then there's his mother's best friend, Mina, who arrives in Milwaukee after fleeing a terrible marriage in Pakistan. She practices a progressive version of Islam, one which reinterprets the Quran for modern times. Hayat initially follows Mina's lead, but then turns to a more conservative, literal version of Islam after Mina starts dating a Jewish man. "The book is structured as an investigation of the conflict between those [differing] points of view as they play out in the evolving consciousness of this preteen boy who is trying to make sense of his experience as an American, as a Muslim, as a burgeoning man," says Akhtar. "He's like a sponge — everything he hears is something that becomes part of his attempt to understand his feelings and his own personal evolution." Akhtar grew up in Milwaukee, the son of Pakistani immigrants whom he describes as "secular humanists" with a great respect for religion. As a teenager, he says, he found himself becoming more devout as he tried to make sense of who he was. He taught himself how to pray and started studying the Quran. "I was obsessed with what [the Quran] meant and understanding how I should live, and it was a very important part of my childhood but it really didn't come from my parents," he says. "I think it had a lot to do with trying to understand how and why I was different and what that meant, growing up in Milwaukee, where we really were the only Muslim family in the '80s in our area of town." Ayad Akhtar is a first generation Pakistani-American screenwriter and playwright from Milwaukee. American Dervish is his first novel. In college, Akhtar turned to the theater and film departments, but he also continued to study religion. "Religion has been an important part of my understanding, my inquiry into what it means to be human," he says. "I feel like that religions generally ask the biggest questions. They may not always have the best answers, but they're the zone of human activity that regularly asks the biggest questions." Today, Akhtar says, Islam is an important part of his artistic and spiritual inspiration. "I am not a literalist in the sense that I am not practicing in the sense that some folks would like to define practice, but I meditate about an hour a day, and a lot of those meditations I learned at the feet of Sufi masters," he says. "When people ask me, 'Are you Muslim?' I say, 'I'm a cultural Muslim.' ... I consider myself to have been formed by a lot of the locutions and aesthetics and principles of the Muslim way of life and those are an important part of my childhood and my identity."